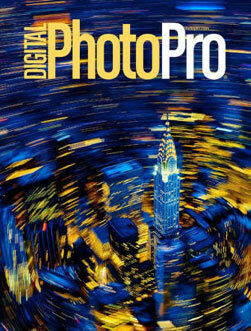 About this magazine: Digital Photo Pro is the professional photographer's guide to the latest DSLRs, technology and more. Each issue contains gear reviews, buyer's guides, professional photos and portfolios. Covers the new desktop darkroom or home photo lab technologies, trends and methods for modern photo and computer enthusiasts. It is edited for a broad spectrum of readers, from the beginner to the advanced, who want to know how to creatively and effectively control and produce exciting images. Metropolis Magazine explores modern life through design. Find articles on architecture, interior design, landscape design, graphic design, preservation and urban planning in each issue of Metropolis Magazine. The editorial emphasis of this magazine is on the practical use of the cameras in the field. It looks at the modern photographic world by encouraging photography as part of a lifestyle. It motivates readers to make use of equipment and their talents in conjunction with recreational activities. In addition, its articles intend to inspire readers to seek new equipment, try new techniques and travel to new destinations.